Halloween is just around the corner and for those of us who take it very seriously, it’s time to start preparing for the spookiest day of the year (let’s be honest, you’ve probably already started). However, it’s important to note that Halloween is a relatively new celebration in Spain and it looks a little different than what we’re used to in North America. While the stereotypical Halloween celebration in America is full of candy and suggestive costumes, the Spanish have kept Halloween on the scary side. You will see most people dressed up as something dead, monstrous or horrific. 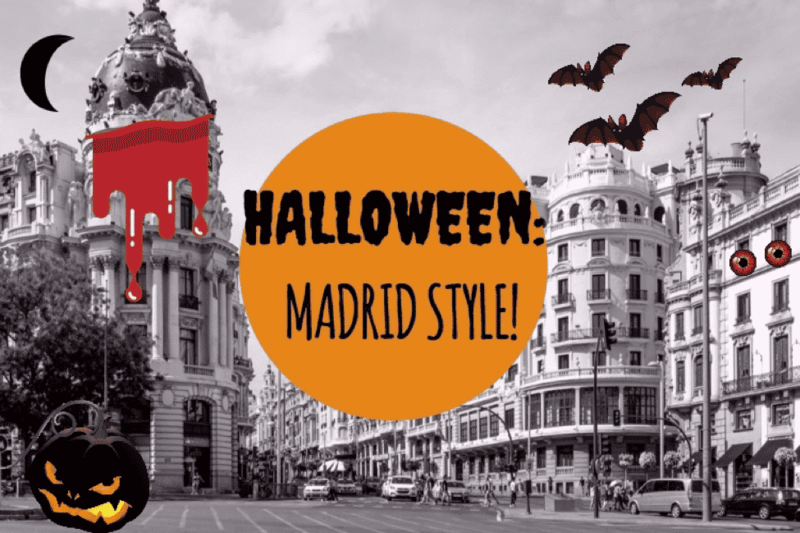 So, what exactly is a typical Halloween in Madrid and how can you make the most of this famous holiday? Take a look at everything Madrid will offer this October 31st! 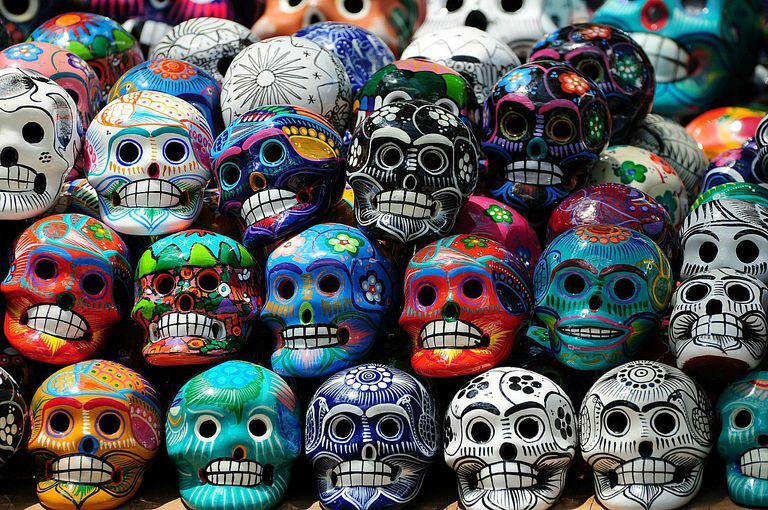 The Day of the Dead is really the holiday that started it all. This particular day is most well known for being a Mexican holiday, however it’s very popular in almost all Roman Catholic countries, Spain included. This is also known as All Souls Day (Día de Todos los Santos) and takes place the day after Halloween. This is a day where families and friends honour all the souls in their lives who have passed on. Typically the people will wear all black and visit the local cemetery, or the cemetery where loved ones are buried. You can buy traditional flowers and candles at almost any street corner on this day. After which you can bring them to pray for and honor any lost souls in your life. In the afternoon, it’s typical for friends and families to gather together for a feast of traditional All Souls Day foods – like Huesos de Santo (sweet, bone-shaped marzipan) and Panellets (cookies made from almond and sweet potato, coated in pine nuts). If you want to do the Halloween season right, you have to participate in this ancient tradition! Both of Madrid’s prominent theme parks will be hosting multiple Halloween themed events through the month of October and early into November. Parque Warner will be completely transformed into a town of horrors, complete with three horror attractions based on famous horror films. Returning for 2018 are three attractions based on hit series, “The Conjuring”. Step into the shoes of paranormal specialists Ed and Lorraine Warren, and maybe even their famous doll, Annabelle. Be sure to also check out the classic Friday the 13th and Nightmare on Elm Street attractions. Just watch out for Pennywise the clown from this year’s “IT”! There will also be activities for children and big spooky parade at the end of each night! In addition, Madrid’s Parque de Attracciones will also be transforming into a terrifying world of horrors. New this year a variety of Halloween Terror Experiences, like the Horror Cinema, The Hospital of the Dead and the famous “Walking Dead Experience”!. For those looking for family-friendly Halloween fun, Parque de Atracciones has great options for kids of all ages, including the “Nickelodeon Funhouse” and face painting! Like most shops in the Madrid city center, you won’t be able to find massive department store sized costumes shops like you might back home. You might find some ridiculously overpriced costumes at El Corte Ingles but you’ll be better off looking at local shops. There is no shortage of costume shops all over the city for you to buy this year’s scariest costumes. You’d better start searching for a Halloween persona now! 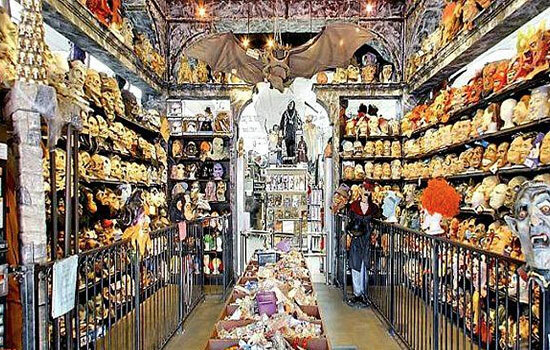 Scary costumes are much more prominent here, so you’re most likely to find those at costume shops. You will definitely be impressed with some of the costume creativity you will see! Some great shops to check out include BarulloCompany, Menkes, Maty and Fantástica. Take advantage of this special Citylife offer: 10% off costumes at Fiestas Paco! There’s no better way to get ready for Wednesday the 31st’s Halloween festivities then by starting of the night with a bang! 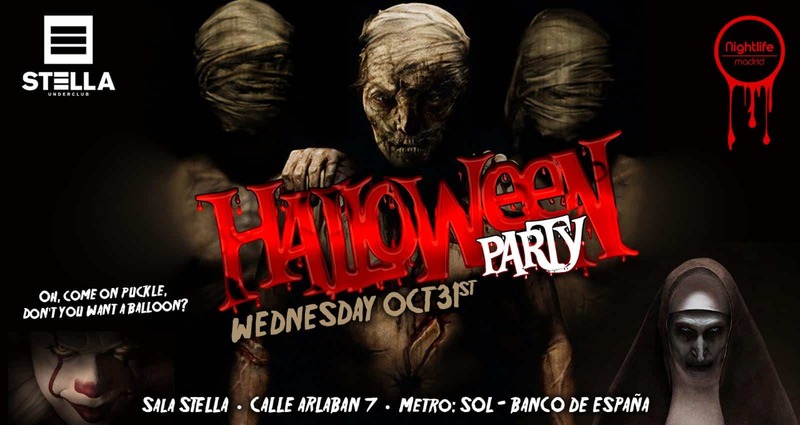 Where better than at Nightlife’s Halloween Party? To get the most of this Halloween weekend come party with us on Wednesday the 31st wearing your costume and you could win “best dressed” in our costume contest! Visit Nightlife Madrid for details on guest list, hours, and entry fees! The streets of Madrid will be covered in costume clad people roaming the streets from party to party, club to club, so don’t miss out! There are tons of other fun activities for kids and adults alike going on throughout the next few weeks. If you’re really into the whole Halloween thing, check out this amazing list of themed restaurants and bars where you can be served by a vampire and feast on some ghoulish meals! Scare yourself silly at the Zombie Walk in Alcala de Henares. 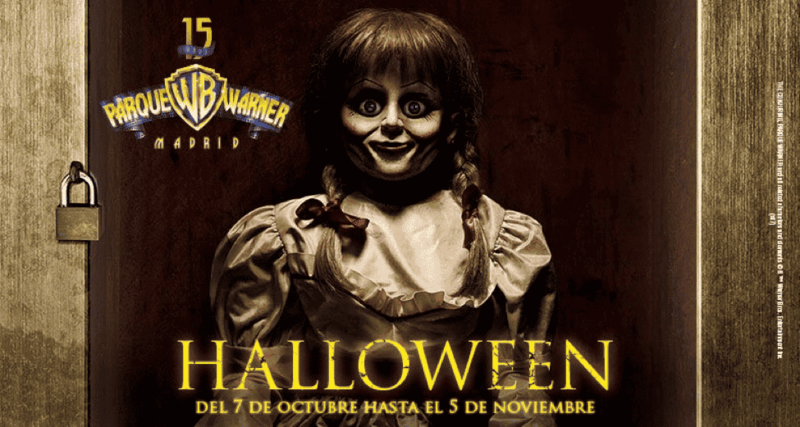 Be sure to consult this list curated by Halloween Madrid for countless other options! Pretty Good Article! I think these are really some of the important information that you have shared. 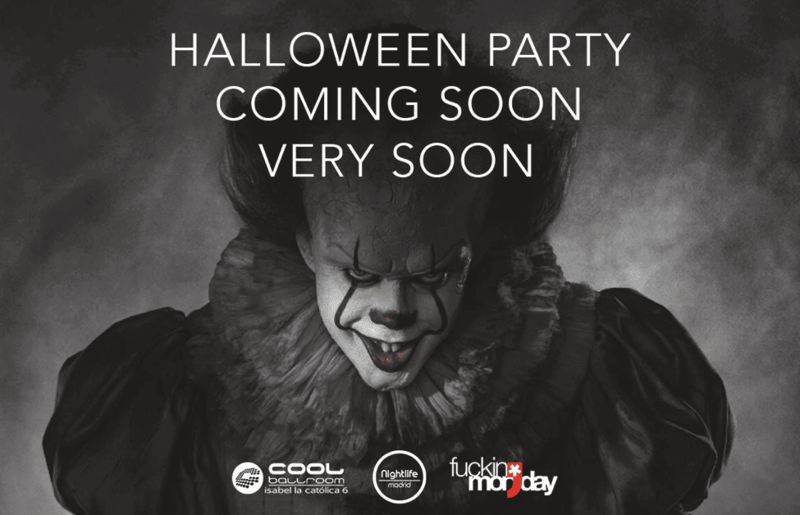 I Got some good idea about Halloween Madrid style. I like the helpful information you provide in your articles. I’ll bookmark your blog and check again here regularly. Hi! Thanks for the info!! Do you know about any kidfriendly plans?? I have a 3 year old and cant find any decent plans for him!